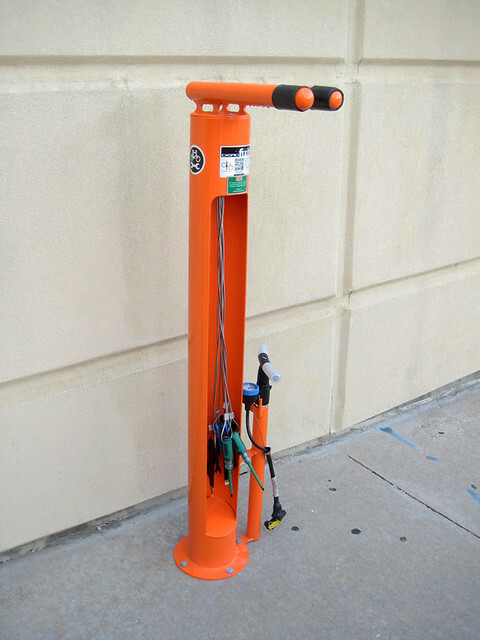 This is the Dero Fixit Station. 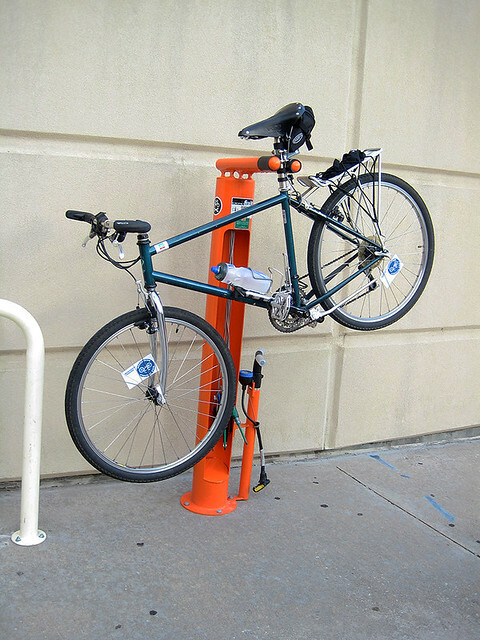 Or perhaps one of these Bike Fixation racks (both companies are out of Minneapolis, Minnesota). I guess, all I need now is a few thousand dollars and permission from my wife. Cool idea. What exactly does this "parkway" look like in the front of your house? I'm not clear on what the parkway in front of your house looks like. Any pictures?